We are adding this post to assure our customers and wood stove owners in Scotland, that so long as they have a modern wood stove, and burn dry wood they probably have little to worry about. Your search for dry naturally seasoned hardwood logs is over. We have sourced a local supply of seasoned hardwood firewood logs from a Lanarkshire arborist. 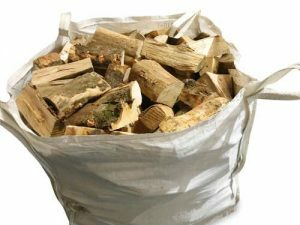 Well seasoned firewood is best for your woodburner. or wood stove. It reduces the amount of water that needs to be burned off in the first hour of burning. Kiln Dried Hardwood Logs are a popular choice with wood burning stove owners and people with open fireplaces. Drying wood before burning reduces the amount of moisture in the wood. Moisture affects the burning process, with unburnt hydrocarbons ( and heat potential) going up the chimney and causing build up of creosote and tar in the chimney flue . It is these deposits that need to be cleaned by regular chimney sweeping to maintain the stove efficiency. Log Stores need to be robust and withstand the heavy rains and strong winds that Scotland frequently experiences. They need to be ventilated to allow the moisture in firewood to evaporate. The drier wood is, the better it is for heat production and for the health of your stove or chimney flue. Dry wood reaches a higher temperature more quickly, ensuring that there is less sooty deposits and creosote buildup inside the flue and on the glass. 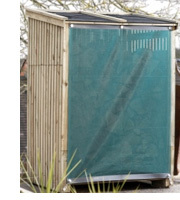 Because the wood needs to be kept dry, a waterproof cover will protect the open side of the wood store in heavy rain, snow falls and high winds, which may drive water into the wood. The firewood we provide is allowed to dry out naturally ( seasoned ) for many months to a moisture level at or below 20%. 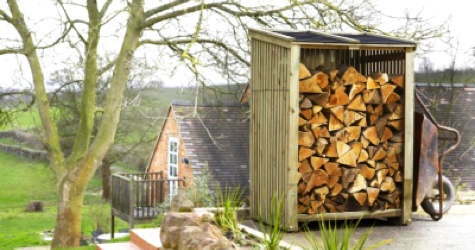 Once delivered, it needs to be kept in such a way that further seasoning and drying can occur in the right type of log shed. The Log Stores and Wood Sheds we sell come in panels that need to be erected. Being made of heavy wood construction, unlike some others on sale, the store is delivered by a two-person team and can be built on site for a reasonable fee. We’re getting ready for 2018-2019 Winter Season! Our updated website, sparkling new delivery truck, new hardwood products: locally seasoned cut wood from a local arborist.